Kali Yuga is the fourth and last of the four Yugas in Hinduism. Current Kaliyuga year is 5121. It began on April 6, 2019 . Kali Yuga 5121 began on April 6, 2019 as Hindu lunar calendar followed in most regions – Chandra Mana New Year. It begins on April 14/15, 2019 as per Solar Calendar followed in Tamil Nadu, Kerala and Bengal – as per Saura Mana New Year. Kali Yuga started with the disappearance of Sri Krishna from earth. 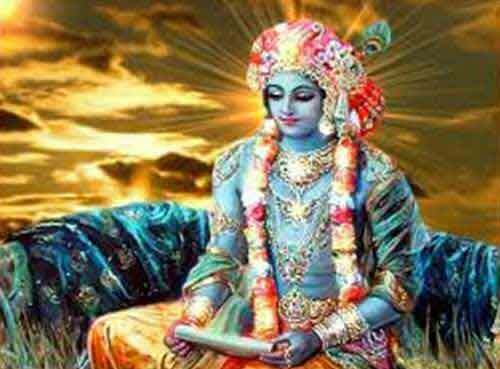 Sri Krishna was not seen on the earth from the first day of Kali Yuga. The duration of Kali Yuga is 432,000 years. Kali Yuga is believed to have started in 3102 BC. Kali has numerous meanings – anger, suffering, grieve, hurt, confound and confuse. We can find all these characteristics dominating the earth currently. The only way to attain moksha in Kaliyuga is by chanting the name of God. Virtue will have only on feet in Kali Yuga. This is the symbolic representation of the decline in physical and moral stands with the passage of each era.